Are you or a loved one using a walker or crutches? Hands need relief? Get Crutcheze® Doctor Recommended and Most TRUSTED Brand for Your Ultimate Comfort! Designed by healthcare professionals with YOU in mind to be exceptionally comfortable, fashionable and affordable. BUY WITH CONFIDENCE! Crutcheze® provides a 100% Satisfaction Guarantee. If you are not satisfied with your purchase you can return it for a full refund or replacement. Need help? Contact us if you need extra padding, softer padding, thinner padding or assistance outfitting your walker. For over a decade, doctors, physical therapists, pharmacists and nurses have recommended and sold Crutcheze® products to their patients. And, now, for your convenience, Crutcheze® walker pads are available at a best value price on Amazon! Are you ready to heal in style and comfort? Click "Add to Cart" to get your Crutcheze® fix NOW! 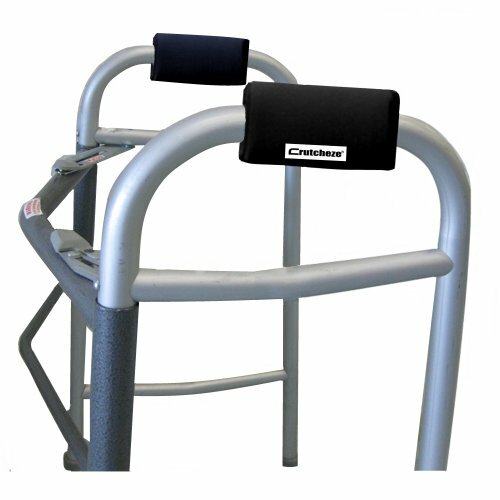 #1 SELLING BRAND - Crutcheze® Walker Pads provide ultimate comfort, style, protection and easy care. BODYCARE® - Antibacterial, moisture wicking, breathable covers keep skin dry and comfortable.